when joy is brought to suffering, the sadness disappears. 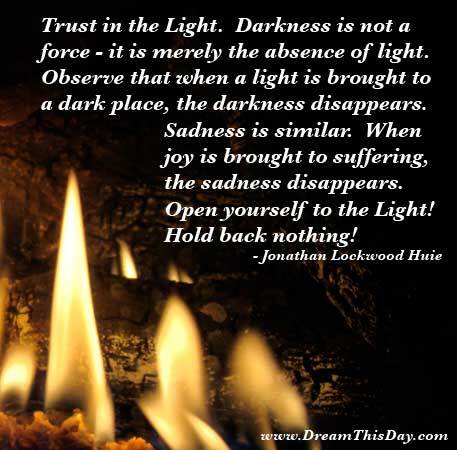 Hold back nothing, Trust in the Light. Exercise: Write your most worrisome trouble on a piece of paper and feed it to the fire. Send your troubles up in smoke. Breathe deeply and rejoice.